If you have a top of the line Colorbond® steel roof protect your investment. Your choice of roofing and location are very important. Environment is a major factor in metal maintenance. A coastal area, with its salt wind, may cause major surface deterioration. In contrast, in a drier, non-coastal rural area roofing may last for decades with little or no maintenance. Other incompatible environments include around swimming pools, and organic materials. In some cases, windborne materials landing on the roof like tree branches may rot and release water which can damage your roof. Be sure to check your roof with a visual inspection after storms for debris. Some metals are chemically active, and may erode steel through a process called “galvanic corrosion”. 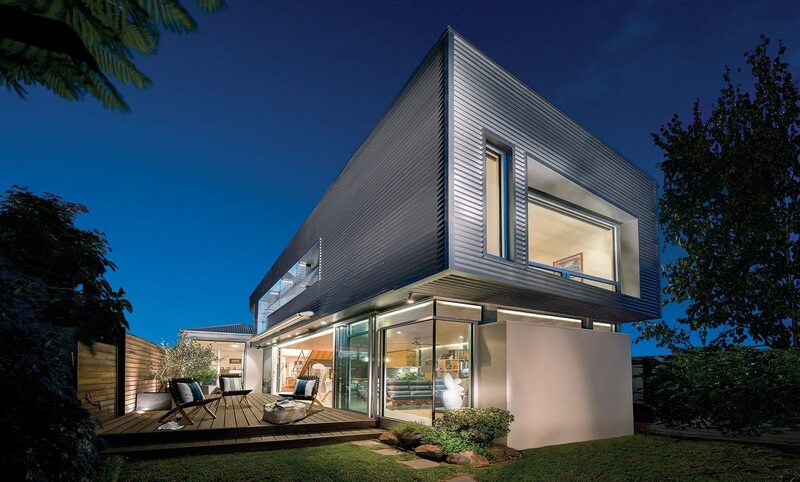 Metals incompatible with Zincalume® and Colorbond® steel include lead, copper, and monel. Water run-off from Zincalume® onto Galvanised steel must also be avoided. Fasteners and rivets must be compatible with the roofing or walling that you are using. If unsure of possible causes of galvanic corrosion, ask us about your issues. Putting pressure on metal roofing can cause deterioration in terms of pressure on supports, bent metal with micro fractures, and related oxygen and water corrosion. Gloves must always be worn when handling metal roof sheets. Inaccurate cuts, bending without proper tools, abrasive cutting tools and handling impacts can damage metal roofing, by penetrating the roofing seal and exposing the metal to water and oxygen. Graphite pencils can also chemically interact with metal during marking out for cutting. Best practice is to ensure that handling and cutting are done by professional tradespeople. Insulation and sealants are excellent options for maintaining metal roofing. Blanket insulation can be used to minimise condensation and formation of moisture near your roofing. You can extend the life of your roofing and prevent corrosion with good quality sealants. Important – Sealants which smell acidic or like vinegar or ammonia, and sealants which are classified as “amine” sealants are not suitable for metal roofing. They contain chemicals which can actually cause corrosion.